As anyone who follows my Twitter feed knows, I’m a politics junkie. And I’ve been getting a steady supply of the good s**t for about a month now, thanks to Canada’s federal election. It’s been a shocking one, and it ended yesterday. Among its many ups and downs, the lowest low was, as always, the mud—slung accurately, though not always effectively, in all directions. The politics of grievance can backfire. Because the smear is too petty, perhaps; or the politician too loved; or, occasionally, because the smear is poorly delivered. This is the challenge of propaganda: an art that confounds even smart practitioners with the nuances of truth and tone it requires. Sergei Eisenstein’s Strike is propaganda. 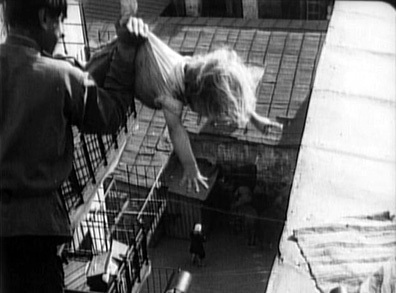 So is The Battleship Potemkin, his masterpiece, filmed later the same year. Strike is good, but Potemkin is much, much better, and it took me a while to figure out why. They make the same points, in much the same ways. But Potemkin is the work of a man who had mastered the means to his end. With Strike, he tried harder and achieved less. Strike, Eisenstein's first full-length feature film, is composed of six parts, and was intended to be part of a seven-part series: Towards Dictatorship, that was never finished. It tells the story of a group of factory workers in pre-revolutionary Russia, who strike for better wages and courteous treatment, and then are suppressed (with extreme prejudice) by capitalist owners and their network of spies and thugs. It’s not really ‘their’ story, though, in the sense of ‘they’ as individuals. Strike is a film in the best Marxist tradition: zeroing in on one group of workers in one factory in 1903, but only to provide an example of something happening everywhere, at least back then—a class conflict as natural to human nature as baking bread. It’s just as natural to be outraged by their mistreatment, the film suggests, and to channel your outrage toward their emancipation. Each of Strike’s six parts is introduced with a prescriptive intertitle (an old-fashioned format, even by 1925): ‘The factory dies down; ‘The strike draws out’, etc. There’s an almost academic quality to it, despite the histrionics: The workers’ strike is an example of a phenomenon, and it is the phenomenon, not the people, upon which we focus. We are observing a process, not watching a story. Were Strike a book, it would be written in second-person, and we’d feel our roles as readers acutely. We would not lose ourselves in the prose. 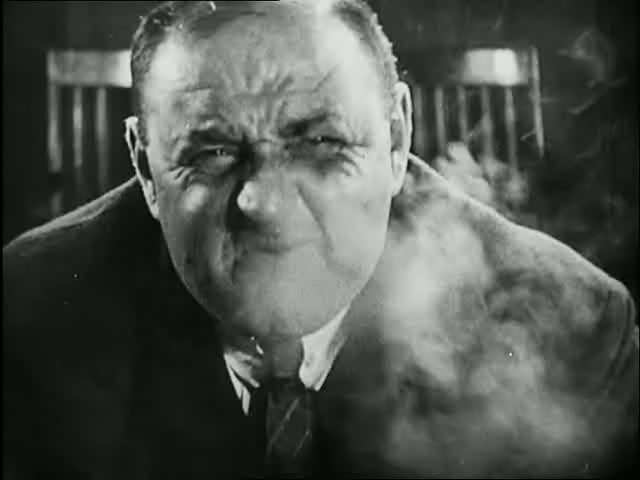 Eisenstein, already a master of composition and in-camera effects, uses them to tell us many things here. The capitalists, a circle of fat, grinning monsters in tailored suits, sit plotting in darkened rooms, as though they exist in a different universe from the working class. 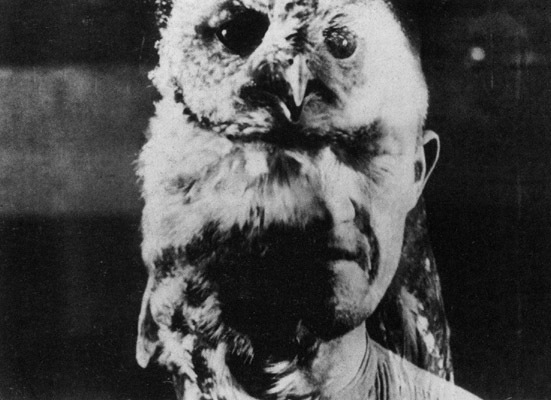 They hire mystery men with names like ‘The Fly By Night’ and ‘Owl’ to do their dirty work—each introduced separately to the viewer, engaging in an activity that describes his talent. (‘Fox,’ a master of disguise, smiles from behind a beard that fades out to reveal a younger face, then fades in again.) Strike, unlike Potemkin or even Triumph of the Will, breaks the fourth wall; in so doing, it begins to dialogue with the viewer about the images onscreen, rather than simply through them. This is interesting, and undeniably artistic, but not always entertaining. The setting doesn’t help either. Consider Potemkin’s environ: hundreds of sailors squeezed into a ship at sea, under the abusive command of a tiny compliment of officers, none of whom could escape except by going over the side. Most of Strike takes place in a walled factory, locked from the inside. Within that space the workers live in relative familial comfort. And whereas Potemkin put Oppressor chest-to-chest with Oppressed, Strike’s real villains are always far away—in some room, perhaps miles from the factory, surrounded by that inscrutable dark. They are cruel, but it’s due to their indifference to the workers. Potemkin’s officers are tyrants and sadists, and they’re hands-on. These capitalists do come to rely upon violent, vicious men, who commit crimes every bit as monstrous as those in Potemkin. But they felt like mere tools to me, and what I remember best about them is not their liquidation of the factory, but the way they’re introduced: called to appear by the capitalists, then rising out of barrel-halves buried in the ground. Like maggots, maybe, or toads revealing themselves. The image is weird, and stands apart from the story. There are many such images in Strike. 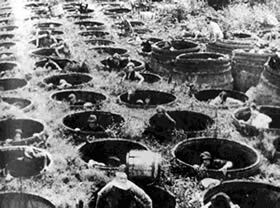 Sergei Eisenstein was a very, very smart man, but I think, with Strike, he made a propaganda piece that engages the wrong parts of the brain. It encourages us to reflect on our ideas of the villain, the Other; the separate tiers of oppression. It reminds us of the distinctions between the real and the exaggerated. It does not prey wholly and solely on the emotions. By the time he made Potemkin, Eisenstein knew that people, when they want to rage, don’t need any details getting in the way. They feel the wave coming, and they let themselves be swept up. I watched Strike live at Toronto’s Revue Cinema on May 1, 2011. Thanks to Eric Velliette, of Silent Toronto, for screening the film, and to William O’Meara for providing yet another expert score.